Highly-pigmented powder. Applies evenly, blends well. A muted burgundy-plum brown (Matte) shade. i am a huge fan of MAC products, and their eye shadows never disappoint me either! 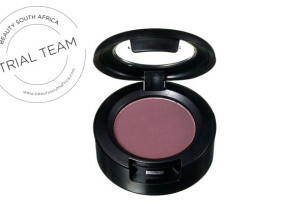 this specific colour is so gorgeous on the eye, and it makes a stunning plum smokey. perfect for winter! i would however suggest to maybe drop the price a bit. I received this particular make-up as a gift and I loved it. I would definitely make sure I always have one in my make-up bag.